POS Tapes are heavily involved in the print finishing and point of sale industries. We offer the adhesive solution to any requirements there are. Recently, we had a customer contact us through our website. They had a problem with their current ATG tape from a different supplier. The adhesive didn't seem to be strong enough to stick to the new printed plastic material. This is a company who produce wallets for a large Blue-Chip company. Needless to day, that resolving this problem was of utmost priority. 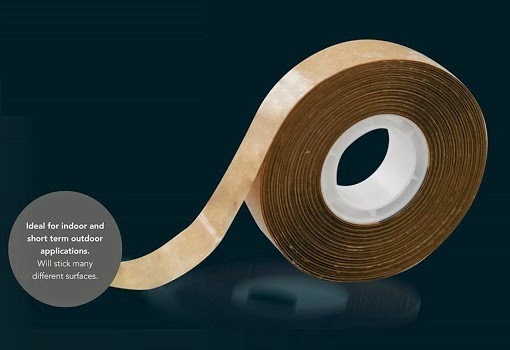 After a search on the web and a call to our sales team to discuss the application, POS Tapes arranged free samples of our 999 ATG Tape on a next day delivery service. After a one week initial testing period and subsequent successful application of the product, we are now the proud new supplier to this company. For more information about any of our tapes or specifically the 999 ATG Tape, please contact our sales team by email on sales@postapes.co.uk or via phone on 0191 296 7810. We can offer you the same excellent expert advice and provide samples to help with your adhesive needs.